Introducing the World's First 3-D Asphalt Paving Machine! Have you ever been stuck in traffic around a road construction site and asked yourself, “Why does it take so long?” and felt frustrated because it seems like everyone is just standing around and not doing much of anything? We understand how you feel, but after researching this problem we have come to the conclusion that this is not the fault of the hard working men and women tasked with building our roads and highways. Rather, it is a result of the out-dated tools and methods used to build and rehabilitate roads and highways around the world. Click Here to Watch a Brief Video about this Technology or continue reading to learn about our efforts and endorsements. Current asphalt paving machines utilize a flat plate or tamper bar screed to measure and deliver asphalt material that is then compressed to make a suitable driving surface. They have changed little since they were invented in the early 1930s and are used to this day around the world to build and rehabilitate our roads and highways. 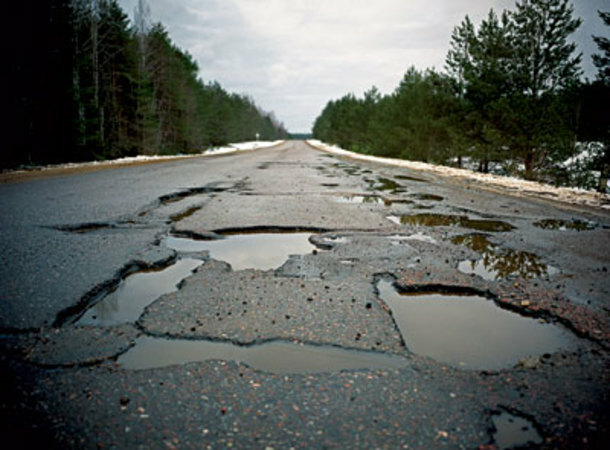 But roads that require rehabilitation are not flat but contain bumps, dips, potholes and ruts making current asphalt paving machines, with their flat screeds, ineffective. They are essentially a 2-Dimensional tool being used to address a 3-Dimensional problem. This limitation requires extensive preparation work such as milling down the surface flat in order for their flat screeds to deliver a smooth, flat driving surface. Unfortunately, this preparation work increases the cost and carbon output of the project as well and requiring more and longer lane closures. These lane closures are very disruptive to the public and private sectors and cause even more carbon output as we all sit idle in traffic congestion caused by road construction projects. Advanced Paving Technologies aims to build a Better Road - Faster, Cheaper and Cleaner! Find out why road construction takes so long.